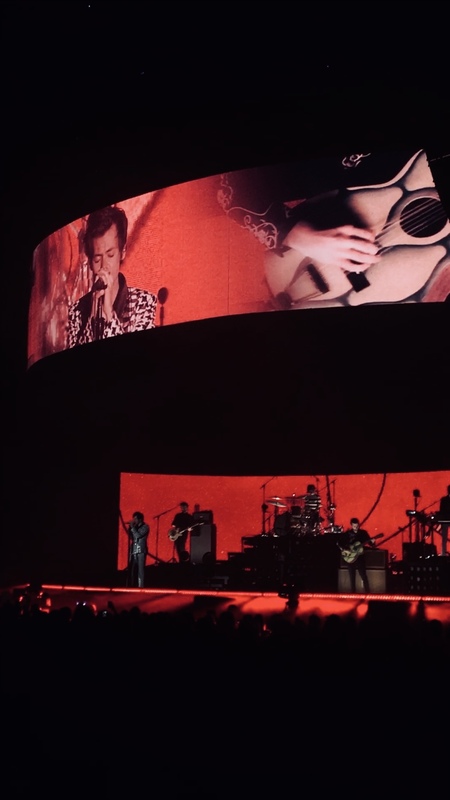 I saw Harry Styles live on Friday 30th March and it was incredible. 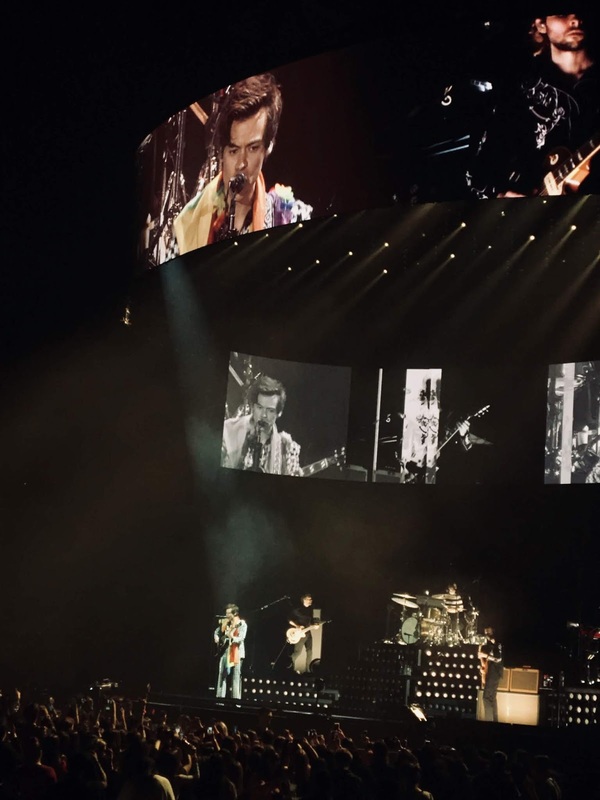 My story with One Direction is quite a long one and I don’t feel like discussing it here, not on this post anyway BUT, out of their solo projects, Harry’s and Niall’s music are my favourite. So, when Harry announced he was coming to Barcelona I decided to go with a uni friend. Neither of us had ever seen 1D live so we were super excited to see Harry. The opening act was Mabel, who I didn’t know prior to the concert. I didn’t know any of her songs but she sang Fix You by Coldplay and I nearly cried, I’m not even kidding. I just like that song so much. Harry sang his whole album, 3 songs from One Direction (What Makes You Beautiful—but his own version of it, If I Could Fly and Stockholm Syndrome) and two covers: Just A Little Bit of Your Heart (he wrote it but it’s an Ariana Grande song) and The Chain by Fleetwood Mac which I love since I discovered it on Guardians of the Galaxy vol.2. Oh, and he also sang two unreleased songs: Medicine and Anna. Both are bops and I was very pleased to know that there is a song with my name on it. Harry’s set was more than I could’ve asked for. There’s no doubt his vocals are just fantastic but his energy on stage is just as great. He is also very funny and humble. Nothing that I didn’t already know but I loved seeing it first hand. I love that he has made his concerts a safe and happy place for everybody. A place where everyone can feel accepted and loved. My only regret that night is not enjoying it to the fullest, because I didn’t allow myself to. Anxiety kicks when it kicks and there was nothing I could do about it. I had a great time anyway and I’m so happy I was there that night. I’m gonna end this with some of my favourite moments from the concert. Everyone singing along to Olivia by 1D and to Bohemian Rhapsody by Queen whilst waiting for Harry. During Just A Little Bit of Your Heart the whole stadium had their phone flashlights on, some with pink post-its to make the lights pink. The fact that the whole stadium was quiet when Harry was singing From The Dining Table (one of my faves from his album). The speech I’ve mentioned before. Another speech in which he thanked everyone for supporting him and his career. HIS SPARKLY SUIT. Honestly his outfits during this whole tour have been wonderful. Harry mocking fans (not in a mean way). HARRY SPEAKING CATALAN. Look, I imagined he would say a few words in Spanish like pretty much every artist does when they are here BUT not Catalan. So I was just so freaking happy about that. He said ‘bona nit’ (good night), ‘com esteu?’ (how are you?) and ‘us estimo’ (I love you). Harry yelling ‘close your mouth when you’re eating to a fan’. 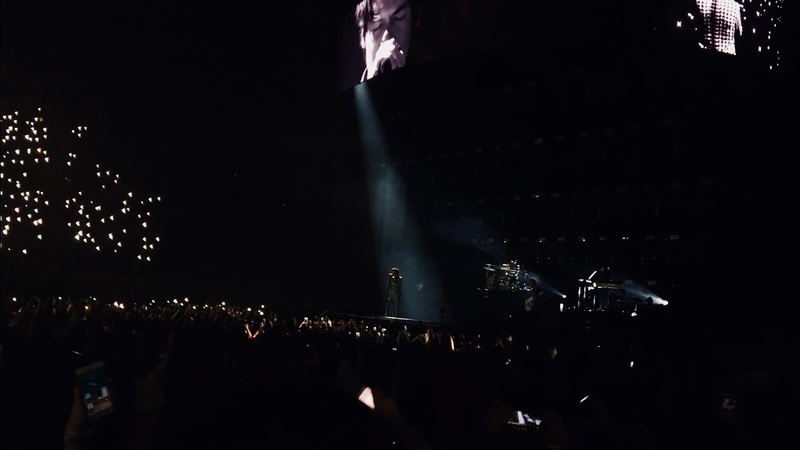 Everyone going crazy during Kiwi (also one of my faves from his album). Anyway, there are probably many other highlights but these are the ones I can think of right now. Just do yourself a favour and listen to Harry's album, because it's fantastic. And also go see him live whenever you have the chance. You won't regret it. What's your favourite Harry Styles song? Have you seen him live?